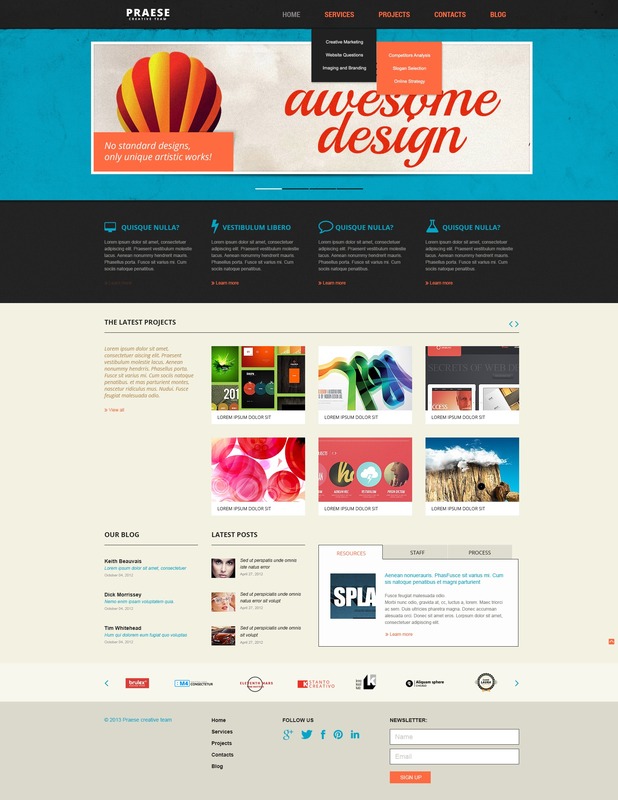 Good web presence for creative design studio should compliment to its creative ideas. It is perfectly done in the following design for showcasing the works of web design company. Grunge style, black and light blue color mix, orange headlines - all this things create the layout that draws attention and raises viewersÃ¢â‚¬â„¢ interests. Cleverly arranged content, well-designed Blog and Project page for featuring all works make the information presented on the site easy-to-perceive.